Something was off from the very start. 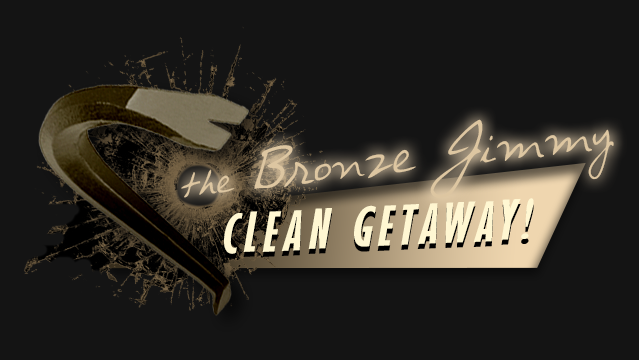 It was something about the way his police uniform simply didn't fit quite right, coupled with the faint trace of alcohol on his breath. His bearing was simply too cocky, too reassuring, too creepy. When 19-year-old Carol DaRonch became suspicious enough to ask Ted Bundy for some identification that Friday night at the mall in 1974, she wasn't knowledgeable enough about police badges to recognize it as a fake. Maybe it was okay to get in the car and drive away with him? After all, someone had just tried to break into her brand new Camaro she had been saving for all summer. Shouldn't she want to come down to the station and file a report? On the strength of her statement to the police, law student Theodore Robert Bundy was arrested for felony kidnapping, and Carol Daronch picked him out of a lineup with absolute certainty. And then the infuriating (and completely predictable) questions that women know all too well started pouring in. "Are you sure it was him? He's a law student, you know. He volunteers in the church. He's very charming and handsome. He's so clean cut and well spoken! Maybe you've got the wrong guy?" In the 45 years since the strong and self-assured Carol managed to escape on the most traumatizing night of her life, Joe Berlinger's Conversations with a Killer: The Ted Bundy Tapes' most lasting and unintentional revelation is simply this: men still don't listen to women. 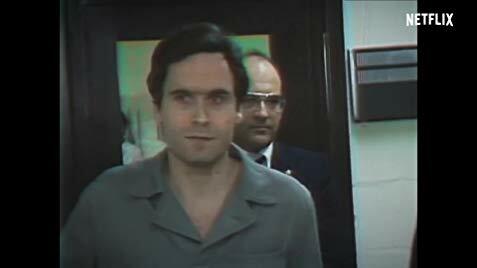 The Ted Bundy Tapes is equal parts compelling and flawed, inspired and frustrating, trenchant and facile. 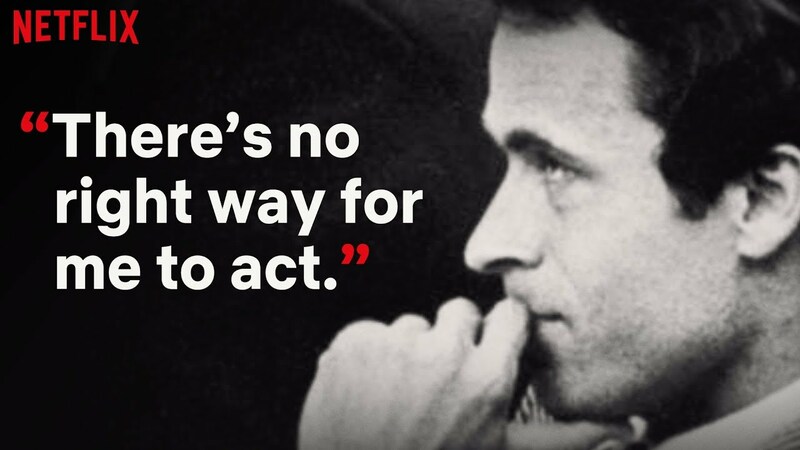 Released in four parts on the thirtieth anniversary of Bundy's execution for murder by Florida electric chair, Berlinger's documentary (available for streaming on Netflix) does a servile and competent job of detailing the life and crimes of a malignant narcissistic sociopath. The primary narrative flow for the story (told mostly in chronological order) are the recollections of journalist Stephen Michaud, who in 1980 collected roughly 150 hours of audiotape from interviews with Bundy on death row. Michaud was a young, mostly unknown journalist at the time, and he speculates in hindsight that Bundy probably selected him in order to twist and manipulate his version of the story into the media. What became clear to Michaud after three weeks of getting nowhere is that Bundy saw these "interviews" (they were in fact, winding, boring monologues) as nothing more than a celebrity exclusive. They were not a confession to his at least 36--possibly dozens more--murders of women in their teens and twenties in six states from 1974 (or earlier) to 1978. He rambled at length about himself and his delusions of grandeur, about what a great athlete and student he was in Tacoma, how brilliant he was, how promising his future was, how the (very few) women he dated had done him wrong, about how the police and media and courts had railroaded him. It wasn't until Michaud, frustrated and ready to walk out of the interviews, decided to play directly to his narcissism and ask him to speak as a "criminal justice expert" on what kind of pathology such a killer WOULD have, that Bundy finally opened up and spoke at length on the murders. In the third person. Like the psychopath that he was. Fans of true crime who are mostly unfamiliar with Bundy's story will be pleased enough with the paint-by-numbers, Wikipedia-style narrative flow to perhaps binge the entire series in one evening. The film is well-directed and frenetically edited, and does a fairly good job of setting the scene with interviews, stock footage from the 1970s, extreme close-ups of a Bundy lookalike's piercing blue eyes, and ambient downtempo trip-hop in the background. It's nothing if not watchable, and far be it from me to say that anyone will have wasted an evening or two for having watched this. Leaving aside the obvious question, however (do such fans who are unfamiliar with his story even exist? ), it's important to note that where Berlinger's film falls short is its irresponsible decision to take the interviewees' recollection of events at face value, and draw no satisfying conclusions whatsoever. There is an endless parade of mostly male authority figures interviewed onscreen. Again and again, we hear detective after prosecutor after judge after defense attorney after local reporter after sheriff repeat how charming, handsome, articulate, intelligent, and adept at covering his tracks Ted Bundy was. We hear excuse after excuse, such as how "we have to understand" that at that time in America, "serial killer" was not a term or even a concept that investigators understood. There was no Internet or national criminal database, and police departments, when they communicated at all, only did so by rotary phone. There was no DNA evidence. Forensic science (and even basic investigatory work, apparently) was so much in its infancy that more than twenty women had already gone missing in Washington and Utah before authorities even recognized they were looking for the same suspect. Nevermind the fact that no fewer than eight women had called into the authorities when the first sketch of "Ted" appeared in the newspapers with a description of his Volkswagen Beetle. "Bundy didn't look like anyone's notion of someone who would tear apart young girls." You see? Where The Ted Bundy Tapes falls fatally short is in uncritically accepting this explanation, and simply presenting it with the directorial equivalent of shrugging its shoulders in acceptance. It draws no conclusions whatsoever, and this is nothing more than lazy filmmaking. We are left to fume at the sight of a smug, petulant Bundy parading around unshackled at his own indictment, after he had already escaped custody twice. (Nevermind the fact that a brown man suspected of slaughtering dozens of women and sexually defiling their corpses would have been shot dead by police on sight in 2019, let alone 1978.) We are left to scoff at the media circus of his Florida trial, where the judge treats him with a disgusting level of deference, referring to him as a "bright young man" who "would have made a great lawyer one day, whom he would have loved to hear argue a case in front of him." Our skin is left to crawl at the deferential laughter from the press, who Bundy had eating out of his hand with his boyish smirks and steady cavalcade of witty jokes. 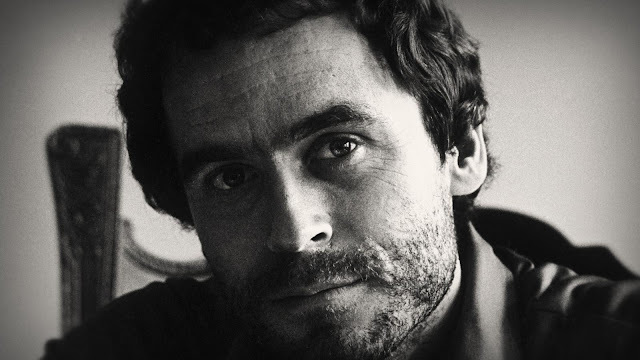 It is abundantly clear to this viewer that Ted Bundy was only charming to men: the men in the authorities and media who were so baffled by Bundy's ability to evade capture, that they perpetuated the myth of a "charming and handsome" criminal mastermind to cover up their own incompetence. Ted Bundy was not charming at all to Carol DaRonch, nor the small handful of women who were lucky enough to escape his wrath with their lives. He was a creep from the first second. As a white heterosexual cisgender male, I've had a platform of privilege and a microphone for life as a writer, both professionally and otherwise. That's why I've chosen to lead off my review with the words of a female colleague, who succinctly and beautifully says what I never could.